whole: the two images occupy the whole. The title is integrated and positioned in the upper right and centre right, in red. All set against a white background. 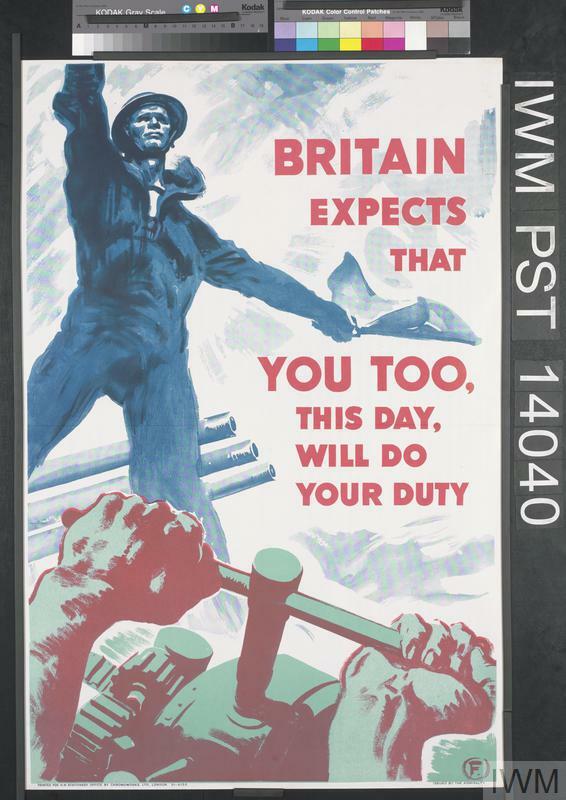 image: the upper image is a three-quarter length depiction of a British sailor, positioned against three artillery gun barrels. His right arm is raised above his head, with his left arm outstretched and holding a signaling flag. The lower image is of a large pair of hands, working with a piece of industrial machinery. 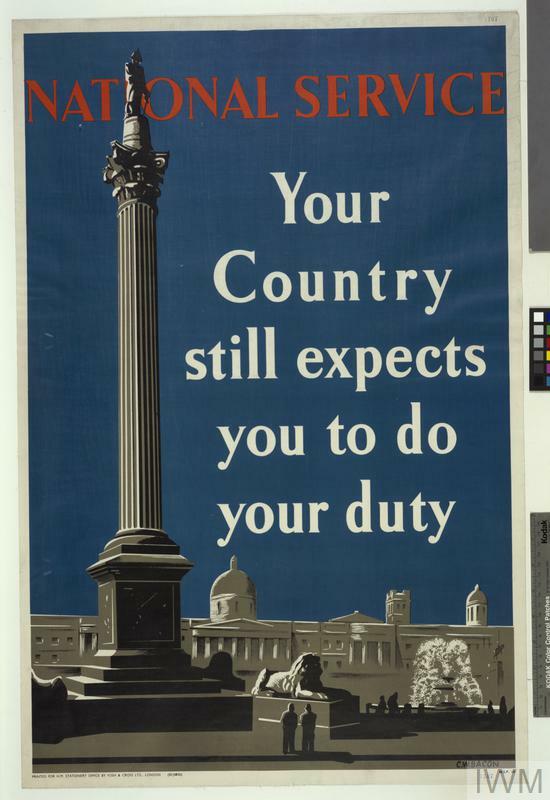 text: BRITAIN EXPECTS THAT YOU TOO, THIS DAY, WILL DO YOUR DUTY F. PRINTED FOR H.M. STATIONERY OFFICE BY CHROMOWORKS LTD., LONDON. 51-4155. 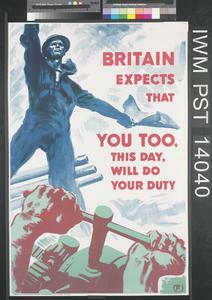 ISSUED BY THE ADMIRALTY. 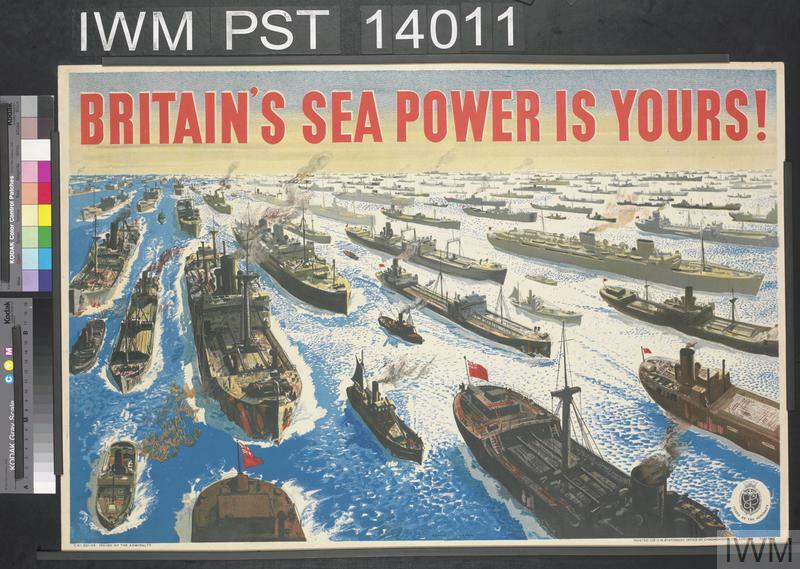 Britain's Sea Power is Yours!